So what theme do you use ? Over the years we have used several parent themes and added our own child theme with enhancements built on experience of our clients requirements. 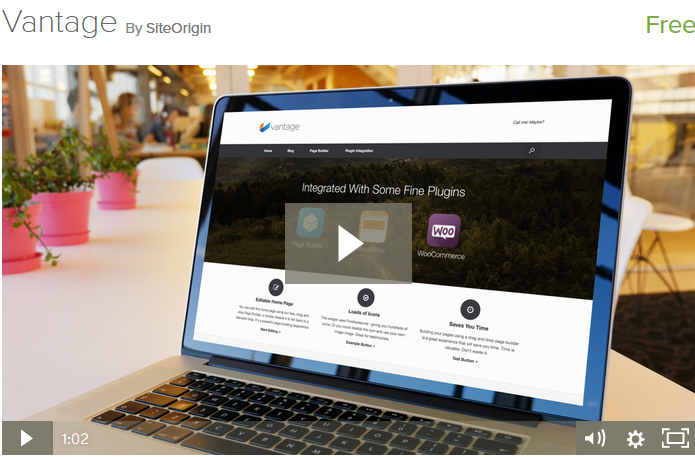 We were looking for an enhanced way to build page content that is both user friendly and cost effective, we chose SiteOrigins Page Builder. Now we could have just just added this to virtually any theme but we decided to try a theme built by the SiteOrigin team to ensure compatibility and really see how things should work ... and so we landed on the Vantage Theme. We liked it so much we thought go the whole hog and converted our site to the Vantage theme as well. These are our first steps for our site and design aspects will certainly change as content grows. As we develop our site we will post some tips or tricks we find along the way and hopefully add something to the communitys knowlege. Posted in Tips, Vantage, Web Design, Website Content, Wordpress and tagged tips, vantage.